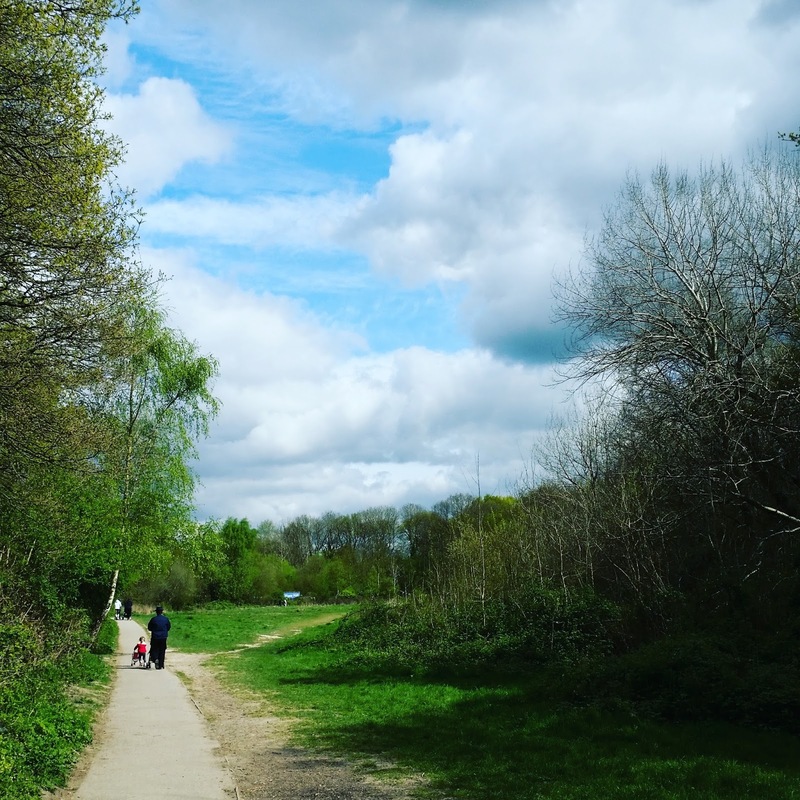 Ruislip Lido was once called "London's Lung" and it really is an amazing place: you cannot believe you are in suburban London once you turn off the main road and start to explore the acres of woodland, lakeside beach and even the miniature railway. Part of 755 acres of semi-ancient woodland - the largest wood in London, the Lido itself is a vast man made lake (formerly a reservoir) with a sandy beach attached. Although swimming is prohibited, there is plenty to do and you can easily replicate a day by the sea if the weather is good: there is a 'splash zone' for children to paddle and get wet in (with changing rooms provided), picnic benches and an extensive set of playground equipment. It can get pretty rammed! If you're not there for the splash zone, a cooler day is often just as nice (and less overcrowded). For those without kids or who want a more sedate and peaceful experience, the paths through the wood are accessible and well maintained. It is incredibly peaceful with no roads to be seen or heard - just bird song and the occasional voices of people calling their dogs, kids and other halves! I have never found it too secluded when visiting alone. There are frequent benches and some overhang the lake for a picturesque lakeside experience. If you don't fancy a picnic, there are two great options. The old carvery pub has recently been replaced by a Stone House pizza and carvery pub, catering to a wider range of ages and tastes. There is waterside dining and both indoor and outdoor family areas (likewise, quieter areas too). On the beach side, San Remo offers a full cafe menu including great hot meals. We often use this in spring and autumn as an alternative to a chilly picnic. Last but not least there's the Lido Railway. Staffed by volunteers, it's the UKs largest small-gauge passenger railway and is even included on TFL's journey planner - albeit hidden away! With return trips for under £5 it is both a pleasure and a useful way of getting all your coolers and chairs to and from the beach area. They do Christmas and Easter specials for young families too! Ruislip Lido has free, plentiful parking and is on the H13 bus route, which runs from Ruislip tube station. The high street is great for charity shopping and the historical Great Barn at the top runs frequent food and craft markets - so there is definitely scope for a full day out around Ruislip whatever your age and interests, although on a fine day it is easy to unwind from sunrise to sunset at the Lido itself! Where do you go for peace in your city or town? That sounds like a lovely space with something for everyone. I like the sound of the railway in particular. That sounds like a lovely place to spend an afternoon. We have a wildlife refuge nearby that we try to visit regularly. Fresh New Blog: Finish My Post Idea List For Me!